The Latino vote will play a significant role in upcoming elections as the Latino population is projected to reach almost a quarter of the total U.S. population by 2040, according to research by UnidosUS and the University of California, Davis, California Civic Engagement Project. During the 2016 U.S. presidential election, the number of Latino voters increased 13 percent over 2012, reaching a record high of nearly 13 million. Latinos are now poised to affect key districts in the midterm elections. 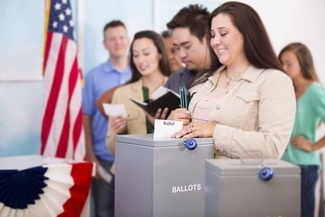 However, it will require successful mobilization and investment efforts in order to harness the full strength of the Latino electorate, said the study's author, Mindy Romero, of the California Civic Engagement Project, or CCEP. The CCEP and UnidosUS will be presenting their latest research at a press briefing, “Latino Tipping Point: How Latinos Are Poised to Impact Key Districts in the Midterm Elections,” Wednesday, June 20, 10 a.m. EDT, at the National Press Club, 529 14th St. NW, Washington DC, 20045. Romero, CCEP founder and director, and Clarissa Martinez de Castro, deputy vice president, UnidosUS, will present the findings. During the briefing, representatives from UnidosUS and UC Davis will reveal key research findings, including a profile of the Latino voter and predictions of competitive districts where the Latino electorate can have a strong showing at the ballot box. Study findings are based on an analysis of American Community Survey and Catalist voter data. Source: Published originally on UC Davis News, UnidosUS and UC Davis Examine Strength of the Latino Vote , by Karen Nikos-Rose on June 18, 2018.